Actually it’s not the Charming Influence. The Charmings would turn up against impossible odds with no plan and rely on HOPE to save them. And. It. Would. Work. Ugh how I hates them. So very very much. I may have rewatched the Charmings turn to dust 3, 4 or 635 times. 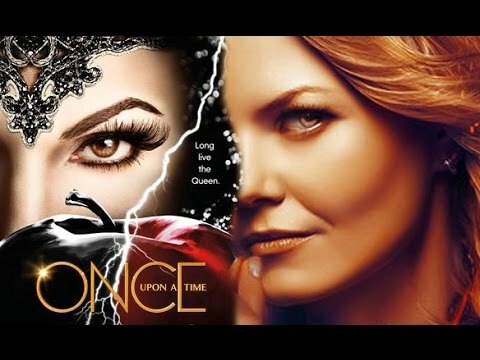 What breaks through Emma’s memories is watching Henry try to kill Regina – and Emma finds her magic seeing Regina unwilling to fight back: Emma uses her magic to save Regina. Unfortunately the path back to Storybrooke is derailed – between them snarking about unreal people and Rumple killing loads of people – they run into Robin Hood. A living Robin Hood. Regina’s deceased True Love. OH MY GODS CHARMINGS YOU ARE THE WORST?! Everything she deserves?! What does that even mean? This is how you make a wish for a genie to put catches in? They do get the lamp back and give it to Jasmin (thankfully without wishing to wake up Snow because who knows how badly that would go given their wishing skills) so maybe she will get her own storyline. Back to Rumple and Belle – Rumple uses all his magic to try and find their son and finds…. Noooothing. He is missing.